The team at the koolaman designs hub would like to thank all participants who took the time to enter the Spring Promotion Giveaway. The photo entries were all very beautiful and touching. It is always very humbling to see people love our products as much as we do. Congratulations to Cathie Riches who is the overall winner of the competition. 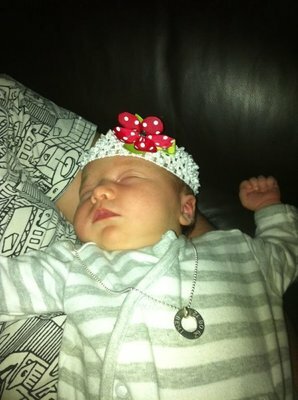 Cathie finished with the most votes for her photo entry of her “beautiful niece Remi with her mummys 'kate' pendant and her fave spring headband on”. 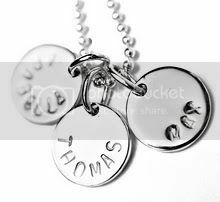 Cathie is the lucky winner of our stunning hand stamped PENNY Pendant. Cathie, we hope this pendant makes you a standout this Spring. If you have time we would love you to share a photo of your PENNY Pendant on our Facebook page after you receive it. The koolaman team was so impressed with the entries it has decided to award an honourable mention to Anne Dunstan for her photo titled “Playing photographer with a 4 year old”. Anne says “I am wearing the ALICE pendant on a vintage chain. This is the first picture I have had taken of me in years (because as mums we seem to be the ones who take all the pictures). It was taken by my 4 year old in one of our many spring blooms”. 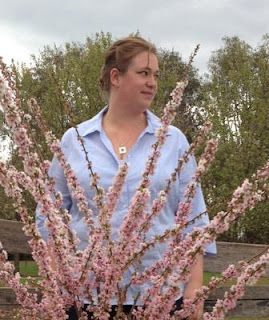 The koolaman team felt this picture was representative of spring with the lovely blossom in the foreground and Anne proudly wearing her ALICE Pendant. It certainly seems there is a budding photographer in the family as it was a great effort from a four year old. Anne will receive a koolaman designs gift voucher for her efforts. Thanks again to all who entered the competition. The photo competition has been a great way to celebrate the start of Spring for the team at koolaman designs. Please stay tuned to our Blog and Facebook Page for our October Promotion. More details will be available soon.